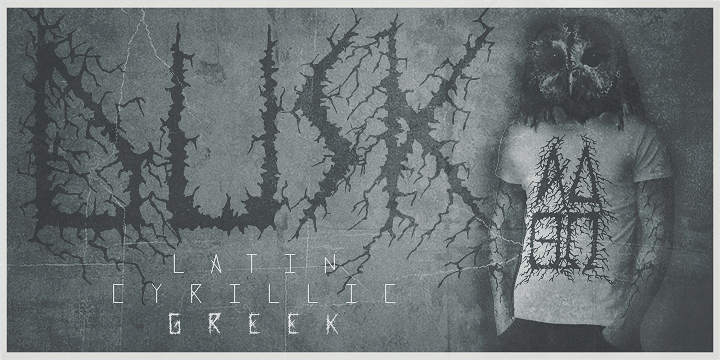 Dusk is a scary, thorny font that reminds us of the horror flicks of the olden times. It has a unique gothic dark appeal to it. The typeface is a perfect fit for horror movie titles, comics, novels, poster designs, and texts where effects matter the most. All in all, a scary font fit for some special uses.